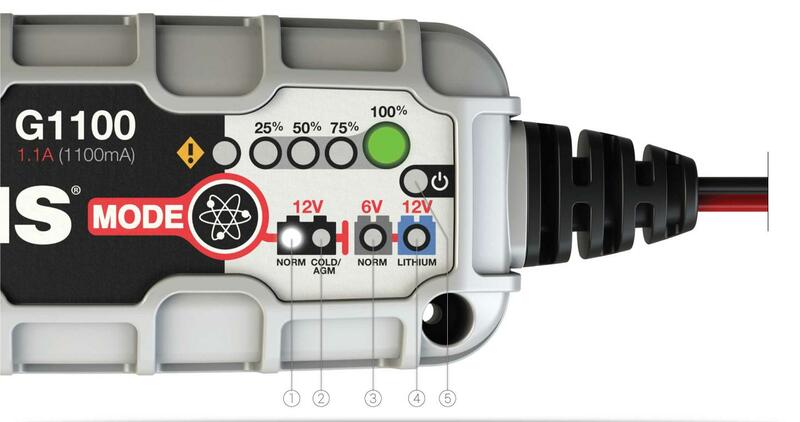 Read below to learn about the different charging modes on the G1100 Smart Charger. In Standby mode, the charger is not charging or providing any power to the battery. Energy Save is activated during this mode, drawing microscopic power from the electrical outlet. When selected, an orange LED will illuminate.